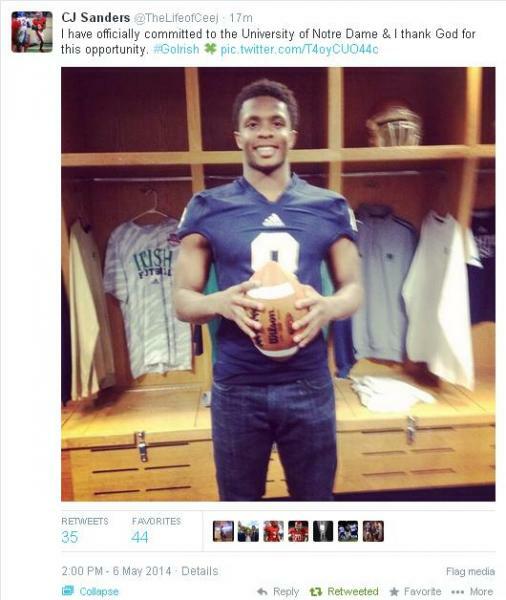 One of the area’s top football recruits for the class of 2015 will be transferring at the end of the school year. Brentwood Academy wide receiver and Division II-AA Mr. Football finalist C.J. Sanders informed his team on Tuesday he will be moving to California with his family. Sanders had 52 catches for 738 receiving yards and 12 touchdowns for the 8-4 Eagles last season. He also scored on four runs and one return. Sanders is a four-star recruit on 247sports.com. He’s fielding scholarship offers from Tennessee, Vanderbilt, Ole Miss, Mississippi State, Stanford, Southern California, Northwestern, Notre Dame and Duke. Sam McGaw is the sports editor at Brentwood Home Page. He can be contacted at sam@brentwoodhomepage.com. You can also follow him on Twitter @SamMcGawSports.